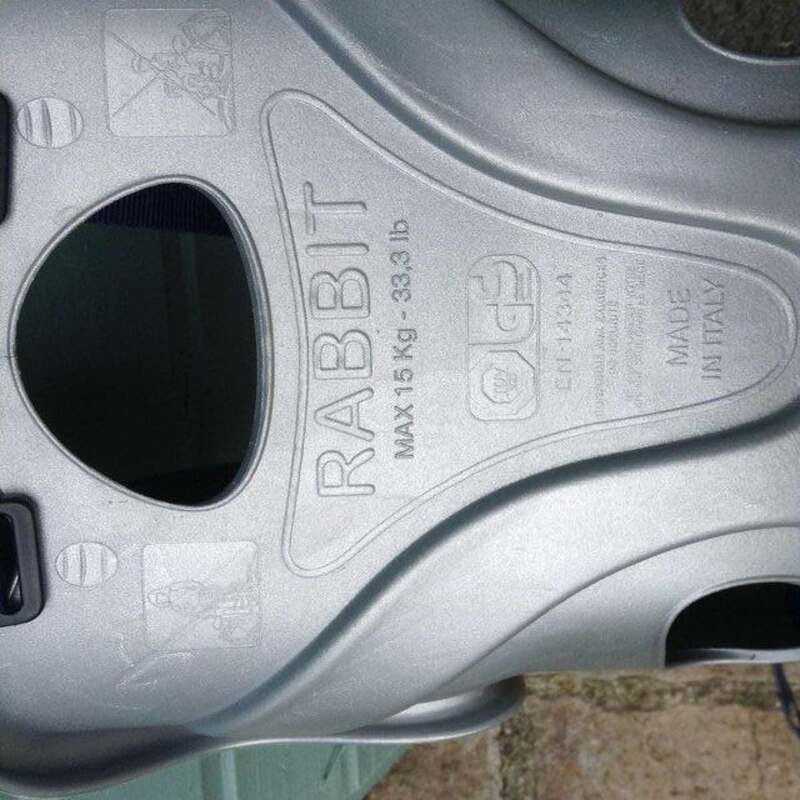 Rabbit toddler seat to be fitted to an adult bike. 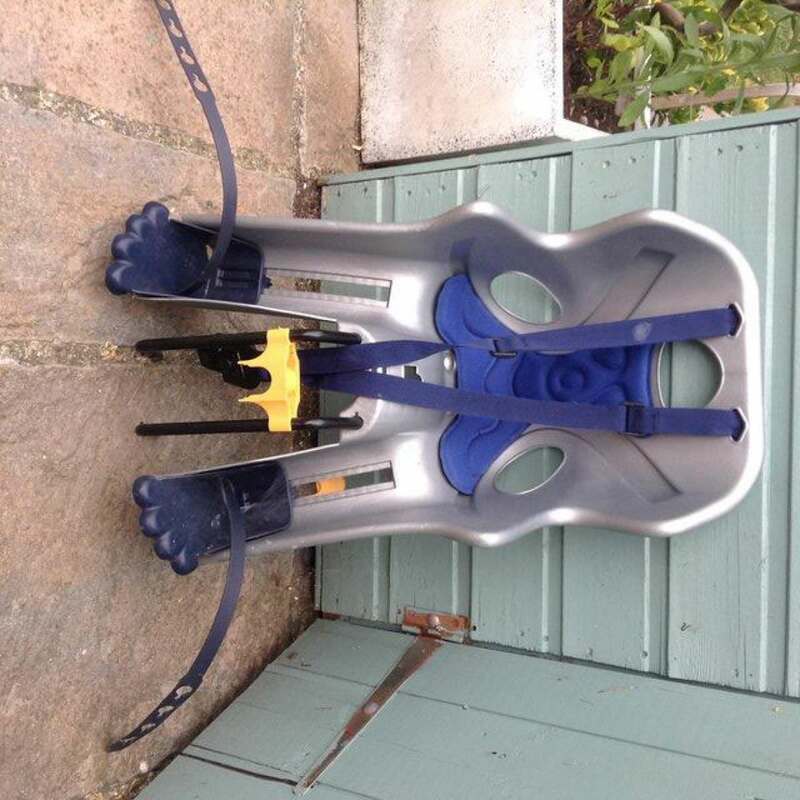 Child sits in front of adult and adult arms are around child whilst cycling maintaining their safety. Complete with all fixings. Used just a handful of times with both our children.